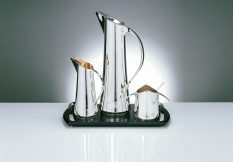 The set comprises a teapot, milk jug, covered sugar bowl, spoon & tray. 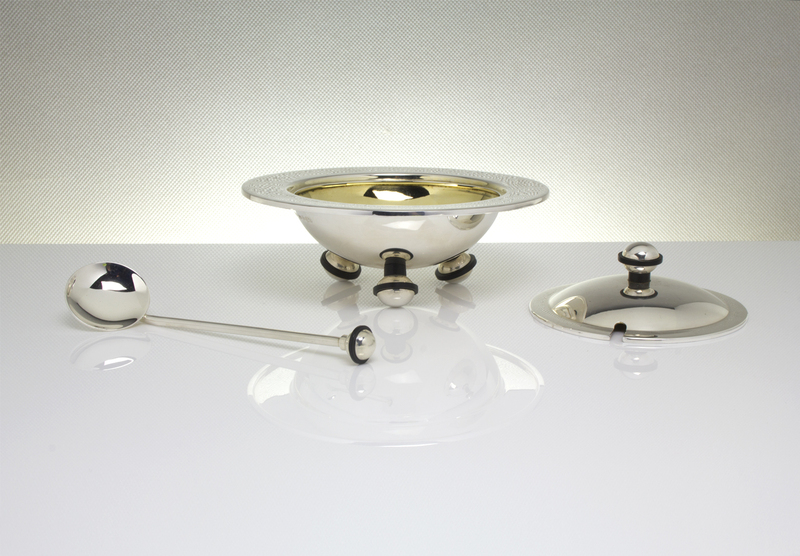 The jaunty teapot holds 6 cups (0.75 litre), and its hemispherical shape produces the perfect conditions for brewing tea. 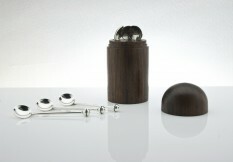 Its insulated handle provides excellent balance and control, whilst its spherical ebony and silver feet and knob add the final insulating touches. 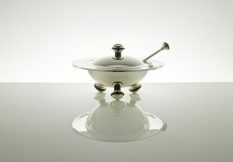 The cheeky jug holds enough milk for the 6 cups and, together with the sugar bowl, is internally gilded. 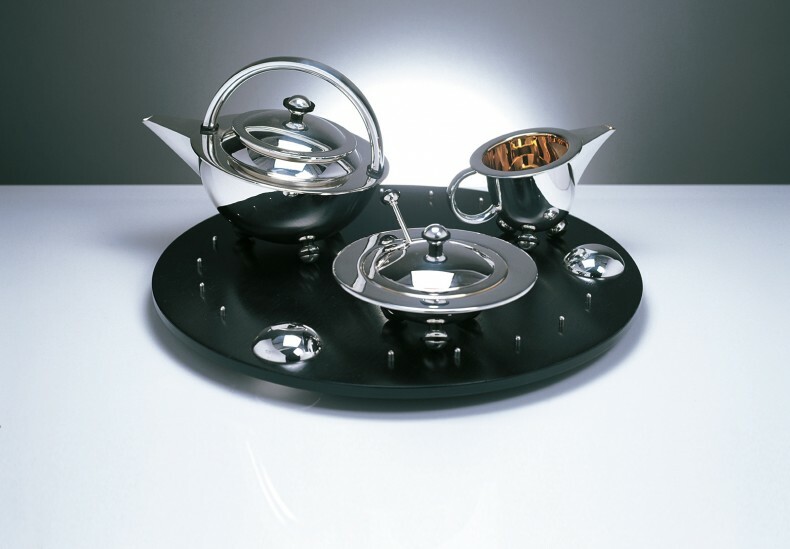 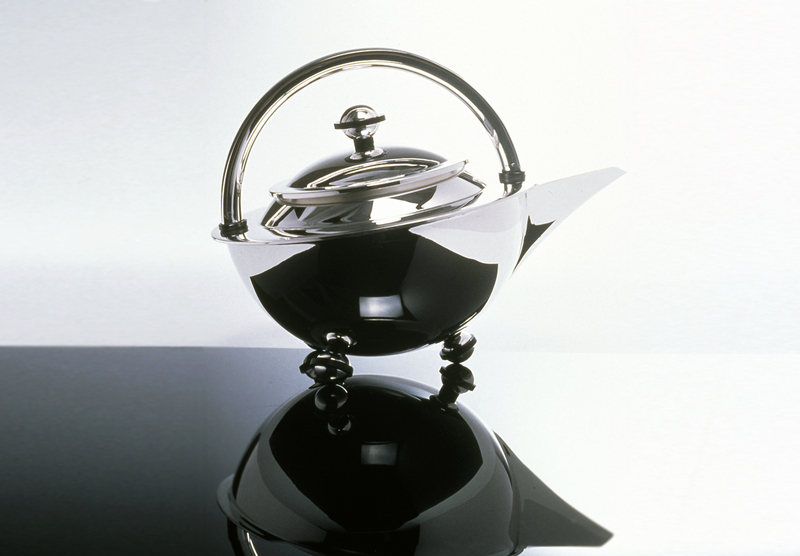 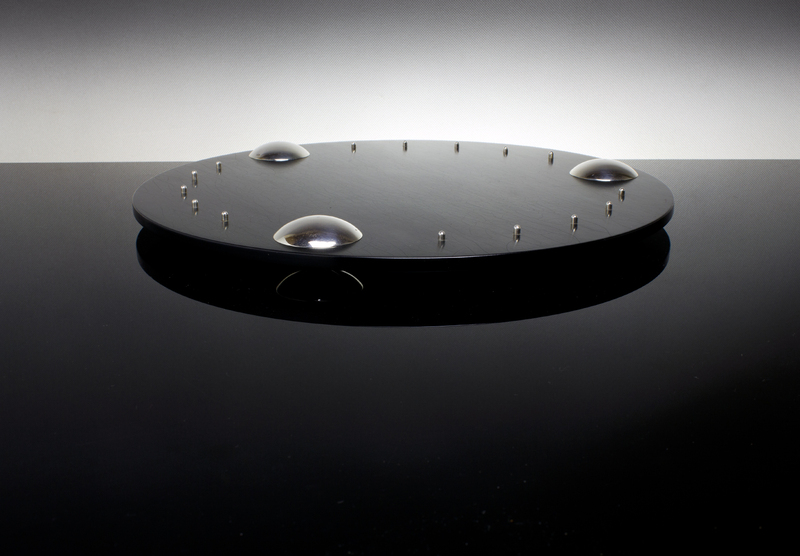 The ebony finished plane of the tray bisects its spherical silver feet, whose orbit is defined by the silver pegs that contain the tea set within their perimeter.